After nearly a century of entertaining young and old alike, and over a million miles of riding pleasure, the Chippewa Park carousel is in desperate need of heritage restoration. Although C.W. 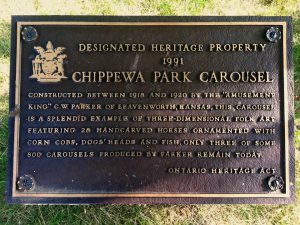 Parker built over 800 carousels in his day, the Chippewa Park carousel is 1 of only 3 jumping horse carousels that remain intact and functional in the world today. After nearly a century of entertaining young and old alike, and over a million miles of riding pleasure, the Chippewa Park carousel is in desperate need of heritage restoration. 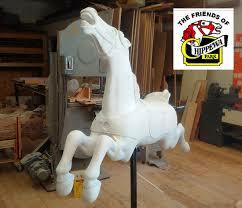 Handcrafted by the “Amusement King” C.W. Parker in 1915, and in operation since 1934, the Chippewa Park Carousel is a rare, designated heritage structure greatly loved by the people of Thunder Bay. Volunteers are primarily required to staff community events. 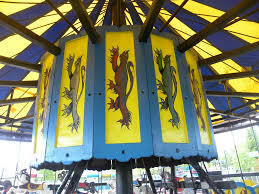 This would include picking up and dropping off the engagement materials and talking with community members about the history, ongoing restoration process, and the future of the carousel. It may also include accepting donations from the public or selling fundraising merchandise at events. It would be helpful if the volunteer is particularly interested in the well-being of the carousel and is comfortable talking to the public about the project to help promote the campaign. Many of the events may occur on weekends or evenings, however, to make up for that, there is potential for volunteer opportunities at events that volunteers would have access to at no cost. 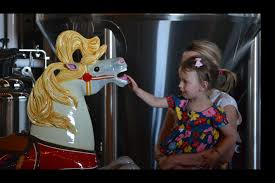 Volunteers can be any age and if a family is interested in helping that might even be better as exuberant kids that are excited about the carousel and the horses can only be considered an asset to this campaign. To volunteer please click on the “click to volunteer” tab below.